Lies and threats escalate, until drugs and a shocking death send Jeff over the edge, and his campaign to get Genie back any way he can turns violent. When Mark’s memory begins to return, it leads to a terrifying confrontation. Will he finally prove the identity of the guilty driver? Or will he and Genie become one more tragedy associated with the Carquinez Bridge? If Mark Wilkerson had to listen to any more of that morbid organ music, he was going to throw up. A migraine beat against his temples, and tears rolled down his cheeks as he stood propped against his crutches, his dislocated shoulder aching. Through bleary eyes, he viewed the three closed coffins at the front of the viewing parlor. Gold glitter on white satin ribbons across the caskets read, “Devoted Father,” “Loving Mother,” and “Baby Sister – Sabrina.” She was only six. Ornate floral arrangements surrounded the closed caskets, their florist shop fragrance adding to Mark’s migraine. He ran his hand across the smooth surface of his mother’s coffin; fingered the satin ribbon. She was in there, at least what was left of her, but he would never see her again. Never again would he feel the warm touch of her lips on his cheek when she kissed him good night. His weepy eyes abruptly gushed with tears. What happened? He still wondered, shaking his head. Even though he’d somehow survived the accident, he still didn’t know anything about it. All he knew was what the County Sheriff’s deputy and the doctor at the hospital had told him that he and his family had been in a tragic, fiery accident on the Carquinez Bridge on Christmas Eve. The doctor also told him his memory would probably return, but it could take some time. He’d called it “dissociative amnesia," whatever that was. He said it was often caused by severe emotional trauma. Mark’s grandmother, Emily Wilkerson, told him he’d performed with the family at a rest home earlier that night, but he couldn’t remember that either. He felt, more than remembered his father had been angry about something. Then there was Amanda Bonfili. What happened on their date? Or did they have a date? He just couldn’t remember. Mark moved to his father’s casket. How could he live without him? His dad had been his greatest inspiration, his best friend. He looked down at the casket as his tears rolled. How could he live with the guilt of knowing their last words may have been spoken in anger? He’d never even had a chance to say I’m sorry, if he’d done something wrong or even good-bye. Somehow, he felt he might have been at least partly responsible for the accident. “Forgive me, dad.” His cries escaped his lips in a whisper, “for whatever I did. I’m sorry.” Tears stung his eyes and he wiped them on his sports jacket sleeve. He wished he could see his family just one last time, but the undertaker had told him their bodies were too charred. The thought horrified him, and Mark agreed it would be better to remember them as he’d last seen them alive. At least his sister, Amy, was being spared the funeral ordeal. But she was still in a coma and her condition was serious. The doctors said she could have brain damage if she survived. That sounded worse than his amnesia. The accident had only been three days ago, and tomorrow, after the funeral, the coffins would be lowered into the cold ground. Is that all there is to life? Mark wondered, To live your life, then be discarded like some trash. Hanging his head, he wished he could have died in their place, or at least with them. How Amy and he had survived was a mystery. Moving to Sabrina’s casket, he laid his forehead against her tiny coffin. “Dear God! Please make this go away. Make them come back.” But even as he prayed, he knew God couldn’t make that happen, assuming He was even real. After all, why would an all-powerful, loving God take away the people he loved most; his parents, and his six-year-old sister who had so much to live for, the family Amy and he needed? Why? The question kept repeating over in his mind, as he wiped his eyes again. Why did his parents have to die, and of all people little Sabrina? SABRINA! Mark wanted to shout, as if it would bring her back. He missed his baby sister every bit as much as he missed his mother and father. He would never see her again. Tears rolled down his cheeks as Mark thought of her charred little body inside the tiny coffin and the pain she must have endured in the fire. She didn’t deserve to die. Mark leaned down and laid his cheek in the hollow of her neck. He could smell her sweet, old ladies perfume. “Why?” he asked. “Why didn’t God protect them? Why did He let Sabrina die and not me? She didn’t even get a chance to live her life.” He turned away and tightened his fists on the crutch’s handgrip. He felt his grandmother’s warm fingers turn his chin. “Mark, I know this is hard for you. It’s hard for me too, and it will be hard on Amy when she comes home.” His grandmother choked on her words, then blotted her eyes with her hankie, “if she does. Son, we don’t always understand why He allows things like this to happen, but my mother always told me, ‘what we see today as a tragedy, we may look back at tomorrow as a blessing.’” Emily hugged him tighter and stroked his hair. After settling on a career as an environmental biologist, where he's written numerous technical publications, the stories swarming through his mind kept crying to get out. So Paul began writing fiction, but only as a hobby at first. 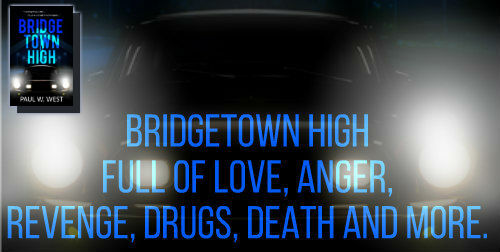 He has recently finished his first novel, BRIDGETOWN HIGH, and is working on his second. 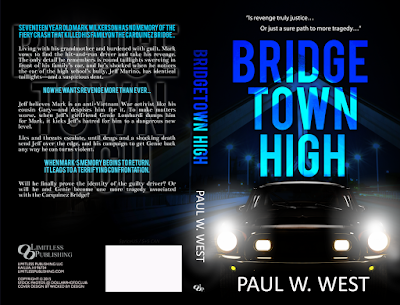 Paul intends to keep letting his stories out through future novels. Paul is the originator and former moderator of a private critique known as ""The Writer's Pen,"" a sub forum in the ""Authors by Design"" web site (now defunct). He is also a member of Query Tracker forum; and Children's Writer's & Illustrator's forum; Utah Children's Writers forum; among others. In addition to his writing, he and his wife, enjoy spending time with their four children and thirteen grandchildren, gardening, reading, traveling, and researching their family history.